Gold inched higher for a second straight session in light trading Thursday. Gold for February delivery climbed $3.00, or 0.2%, to $1,663.70 an ounce on the Comex in New York. The yellow metal traded through a pricing range of $1,653.10 and $1,666.10. 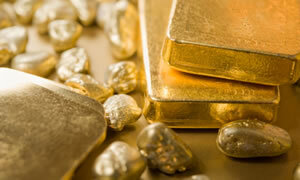 "Comex gold futures prices ended the U.S. day session modestly higher in thin holiday dealings Thursday," noted Jim Wyckoff in the PM Kitco Metals Roundup. "Some short covering and bargain hunting, and even some fresh safe-haven demand, lifted the yellow metal… Many traders and investors are on the sidelines this week, enjoying the holiday season. That is making for thin market conditions." Silver tracked gold with March silver futures advancing 20.5 cents, or 0.7%, to $30.240 an ounce, trading between $29.715 and $30.530. Platinum was the lone precious metal to fall Thursday. Platinum for April delivery — the new, most active contract — closed at $1,536.00 an ounce, falling $3.00, or 0.2%. The precious metal ranged from $1,532.40 to $1,551.50. Sister metal palladium surged with March palladium futures up $16.10, or 2.3%, to $708.50 an ounce. It traded between $689.35 and $710.00. Sales levels for U.S. Mint bullion coins were unchanged Thursday as of 4:31 PM ET. Sales on the day, for the week-to-date, December and year-to-date follow. *The 2012-dated American Eagle silver coin sold out last week. The U.S. Mint will begin selling the 2013-dated coins on January 7, 2013.